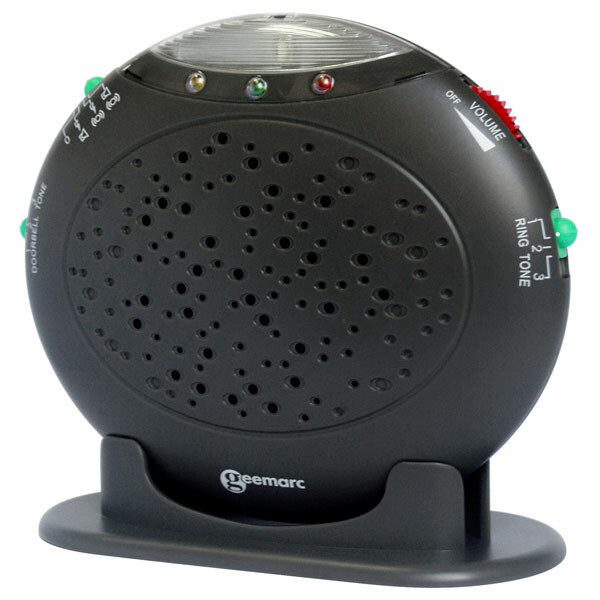 "Extra Loud Phone Ringer Plus Visual Call Alert"
The AmpliCall 10 Telephone Ringer & Flasher from Geemarc alerts you to the ring of your telephone with an extra loud adjustable 95dB ringer and extremely bright LED camera flash strobe light. Product Weight (in Original Packaging): 1 lb. 1 oz.